Introducing The Mastermind Program for Lawyers! My next adventure is The Mastermind – an exclusive working group of 10 like minded lawyers who want access to on tap accountability, new law planning workshops, and practice innovation. I have enjoyed working with lots of great lawyers this past year doing 1 on 1 coaching, which is something I will continue to do, but I know myself, there is something to be said for being in a group when it comes to business learnings. And so, for 2019 I am rolling out a 10 person mastermind group that is designed to create an environment for the participants that will help them to take that ‘leap of faith’ off the cliff to achieve whatever it is you might be trying to get done! I have come to learn that one of my super powers is the ability to ‘kindly’ push people off virtual cliffs by giving them the confidence (and the tools!) to achieve their goals and the mastermind in 2019 will do that and more. Applications are now closed for 2019! However I invite you to express your interest in joining me for The Mastermind program 2020! So what will the “The Mastermind” involve you may be asking? Kicking off in February 2019 and concluding at our Annual Club Retreat in November 2019, The Mastermind will be an exclusive group of 10 lawyers looking to actively implement new law innovation in their business – whether it be in their sole practice, or to a larger team. 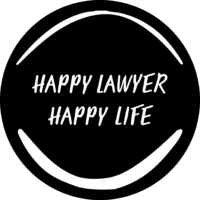 I am looking to work with passionate lawyers, excited to learn, share, and change the legal world we are working in. I have purposely kept the group small to enable us to make the most of our time together. By the end of the 10 months you will have a clear, mindful path forward to stay ahead of the legal game, and make the most of your business. ★ And of course a whole lot of ‘virtual cliff jumping’ fun! To find out more and express your interest in being part of our very first Mastermind group, be sure to get in touch below. Below are “The Mastermind” pricing options available if you are a successful applicant.